Author Name: Myers, David G.
MULTIPLE COPIES AVAILABLE!! 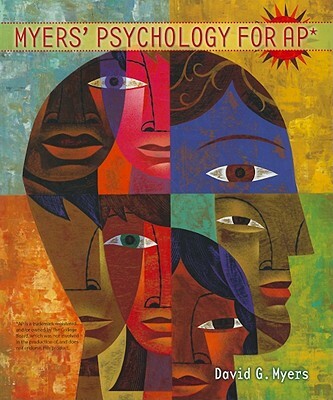 Worth Publishing: Myers' Psychology for AP* - Student Edition [Hardcover]. Copyright-2010, ISBN:1429244364. These books are in GOOD/SOLID condition with the interior pages and binding blocks fully intact, and only MODERATE wear to the exterior covers at most! We ship daily, Mon-Sat. Customer service is always our top priority! Watch Dave G. Myers introduce this new text here.